Anyone starting a wildfire may be held responsible for that fire until it is out. 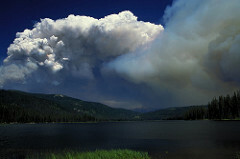 Wildland fires caused by people is a common problem in Idaho. Many escaped fires are illegally started due to people violating burn restrictions enforced during high fire danger months. This is important - anyone starting a fire may be responsible for that fire until it is out. If your fire gets away, you can be held responsible and liable for any property damages and for fire suppression costs. In order to avoid costly fines and citations, make sure you know where and when burning is allowed. 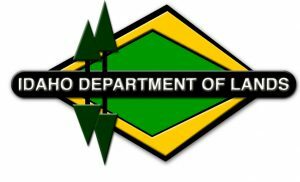 Burn permits are required under Idaho law for any burning outside city limits statewide (excluding campfires) from May 10 to October 20. 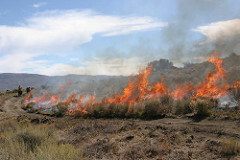 Fire safety burn permits are free and can be applied or renewed online at the Idaho Burn Permits website. 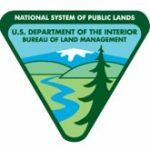 Some cities and other jurisdictions - including local or county fire departments, Idaho Department of Environmental Quality (IDEQ), Tribal Reservations, and others - may have additional or alternate permit systems in place. If that’s true for your burn site and type of burning, then you will be provided instructions on how to apply for a permit from those entities. Know before you go! If your vacation will take you outdoors, check the Idaho Fire Info website for the most up-to-date information on fire restrictions. 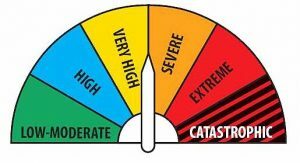 Burning can also be limited based on current fire restrictions. Check with your local fire department for other restrictions that may be in place at the time you want to burn. Compliance with air quality regulations is required at the time of burning. You can check air quality conditions at the Idaho Department of Environmental Quality (IDEQ) Real-Time Air Monitoring webpage or contact the appropriate Tribe if you plan to burn within Reservation boundaries. You can also go to IDEQ website for more information about the health impacts of burning, burn restrictions and bans, crop residue and residential burning, wood stoves and wildfires. Contact an IDEQ Regional office for local information. If you have questions about a specific fire or are making travel plans, the Incident Information System (Inciweb) is the best source for information. 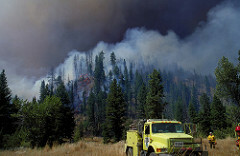 The National Interagency Fire Center (NIFC) website also provides information, including a daily fire situation report. Obtain a burn permit when needed and comply with the conditions of that permit. Make sure you are compliant with local air quality regulations. You must comply with air quality regulations when you burn. Burning may be conducted only on days designated by IDEQ as burn days. An acceptable burn day occurs when air quality is good and is expected to continue to be good, as indicated by pollutant levels. Burn approval decisions are based on air quality conditions; proximity to towns, schools, roads, hospitals, canyon rims, etc. ; the order of burn requests received from applicants; and other relevant factors. When a permit is issued if not during the yearly burn season. On weekdays (no burning on weekends and state and federal holidays). During daylight hours (after sunrise and before sunset). Some household waste consisting of paper and cardboard if no residential trash pick-up service is available. Remember the steps you take before you strike that match make all the difference. There are simple precautions that you can take to prevent escaped fires. There are simple precautions you can take to prevent a burn from getting out of control. Watch the weather. Avoid burning on windy, hot, and dry days. Wait to burn if: winds are over 8-mph, temperature is above 80 degrees, and thunderstorm activity is predicted. Be prepared. Have enough people, water, and equipment/hand tools available to control the fire. Dress appropriately. Wear long sleeves and pants, a hat, and leather gloves and boots. Use a bandanna over your month to protect your lungs. Make a firebreak before you start. When burning fields, ditch banks or fence lines it is always safest to ignite against the wind.